Students cross the road on Forbes Avenue in Oakland on Wednesday, Aug. 31, 2016. Starting Tuesday, bike lanes are being installed on Forbes Avenue and Bigelow Boulevard to help make the roads safer for cyclists navigating these busy roads. The painted bike lanes will be a minimum 5 feet wide, but currently there are no plans to include a physical barrier between car traffic and bikes. Some bikers feel like the proposed changes to the roads aren't enough to keep bikers safe. 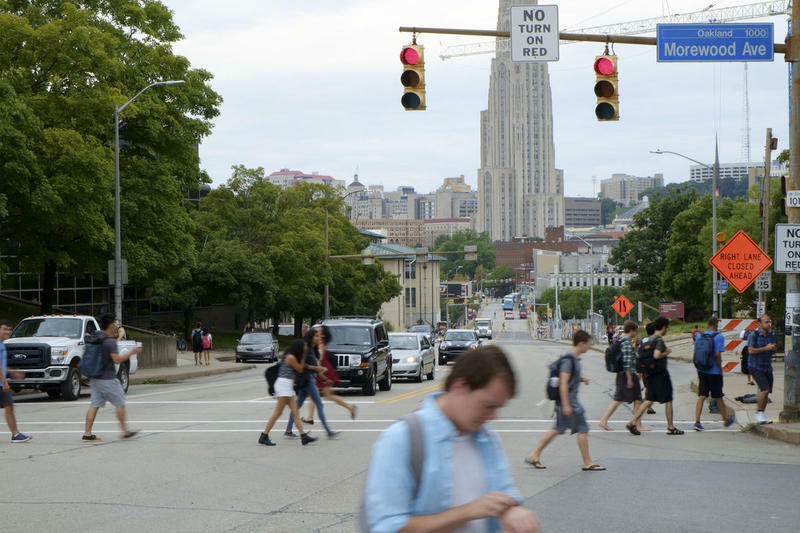 Barry Ames, a professor at the University of Pittsburgh and an avid cyclist, said the problem lies more in cars speeding to make traffic lights. "The stretch from Bigelow to past the dinosaur and even past Carnegie Mellon is incredibly dangerous," Ames said. "And since someone was killed, the University and the city have done absolutely nothing to slow traffic down." The initial installation is expected to be done in one to two weeks, but the full project, which will include repaving the stretch and realigning the streets, will be completed by the end of 2018. Georgia Petropoulos, Executive Director of the Oakland Business Improvement District, said the community wants Oakland's streets to be equally accessible, and safe, for drivers and bikers. "Ultimately, the best scenario for Oakland is going to be accommodating everyone because we're a downtown, we're dense, we have a large population, and safety is paramount," Petropoulos said. "Safety has understandably been a concern for the cycling community. She said the number of bikers in Oakland will likely rise in the coming weeks when the University of Pittsburgh and Carnegie Mellon University begin fall classes. The city's "complete streets" approach will effect the roughly 1-mile stretch on Forbes between Bigelow Boulevard and Margaret Morrison Street. 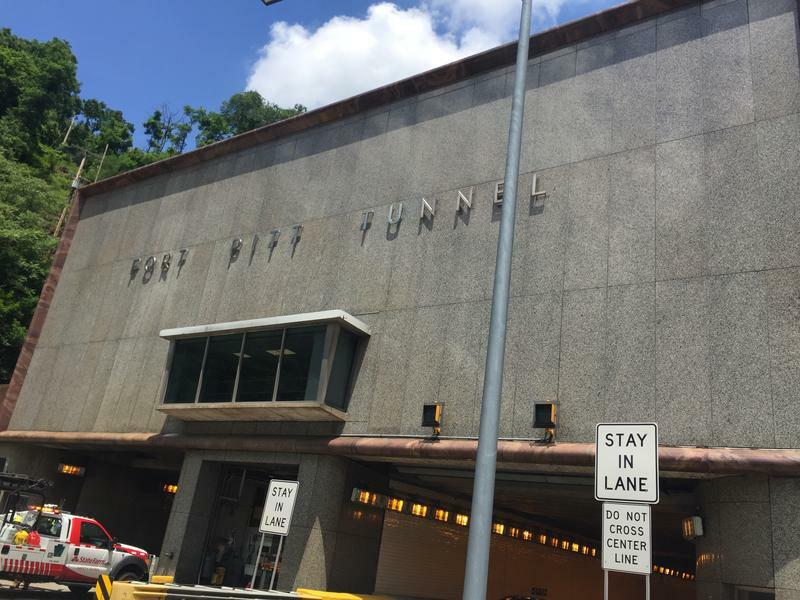 Pittsburgh’s tunnels are considered the gateway to the city. More than 229,000 people drive through the Liberty, Fort Pitt, Squirrel Hill and Stowe tunnels each day. 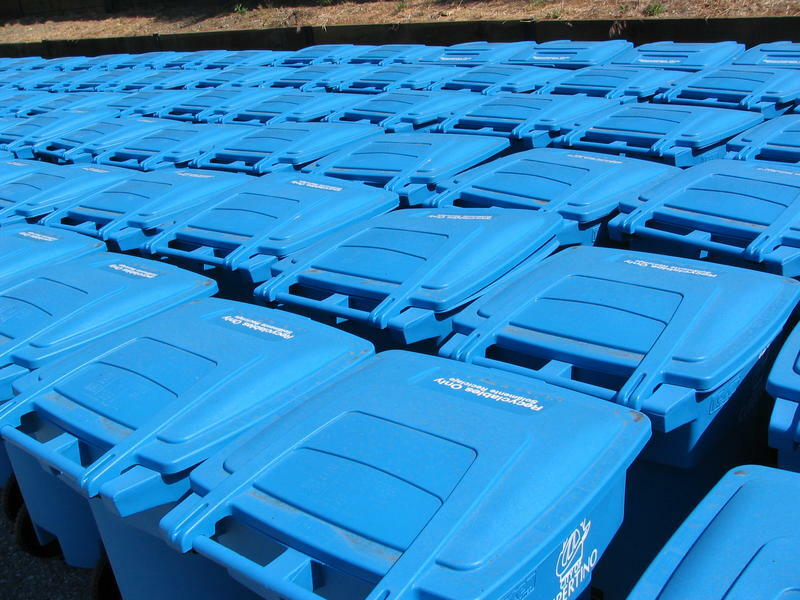 It’s time to stop using blue Giant Eagle grocery bags to hold recyclables. 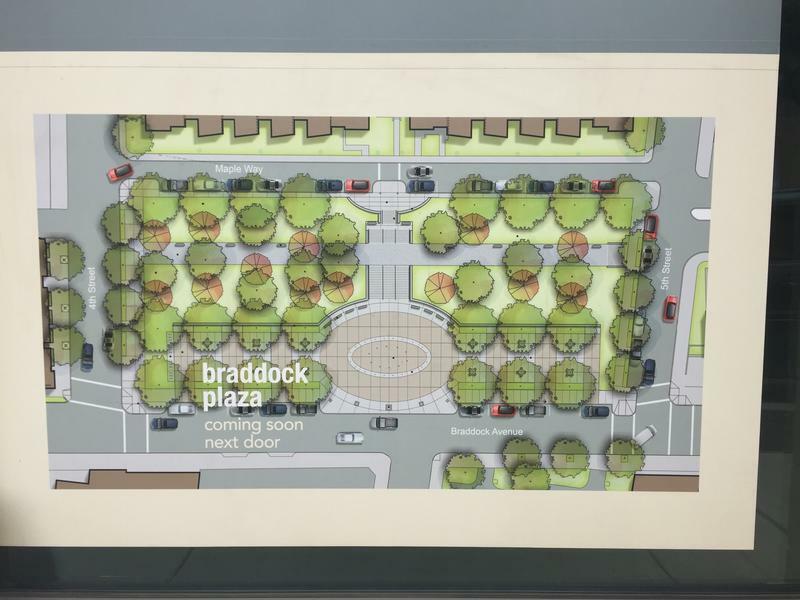 Construction began Friday morning on Braddock Civic Plaza, a community space to be located on the former site of UPMC Braddock Hospital, which closed in 2010. A long abandoned social club in Spring Hill, roughly 2 miles north of downtown Pittsburgh, is getting a new lease on life. Nearly 20 years after the Workingmen’s Beneficial Union, or WBU, closed its doors, it will reopen as an event space and brewery this fall.